Many companies launch corporate blogs taking into account only what the blog should do for them, rather than what they should do for their blog. This can lead to blog posts being published sporadically, without the support of a consistent messaging strategy or editorial calendar. Ultimately, this makes it extremely difficult for the blog to support overall company objectives. The following case study features a blog marketing tactic developed by TopRank® Online Marketing for B2B marketing software provider Marketo that helped guide blog messaging, increase blog keyword traffic and improve blog referrals to the company’s website. Marketo, a leader in B2B marketing automation software, helps marketing and sales teams drive revenue and improve marketing accountability through email marketing, lead nurturing and lead scoring capabilities. Founded by B2B marketing experts, Marketo lives up to its reputation as a thought leader via regular posts to the company’s Modern B2B Marketing blog. 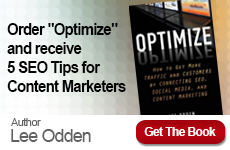 Marketo engaged TopRank® Online Marketing to develop a blog marketing strategy that would increase priority keyword referrals, build search engine traffic and increase company awareness. This tactical case study highlights one of the tactics in support of the overall content marketing strategy. 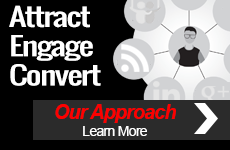 As part of an overall blog marketing strategy, TopRank® Online Marketing introduced the idea of reaching out to other thought leaders in the B2B marketing industry. Insight gathered from these notables was shaped into keyword optimized blog posts that made up the “B2B Marketing Thought Leader Interview Series.” TopRank researched prospective interview subjects, constructed keyword rich and topically relevant questions, pitched and secured interviews, published and then promoted the interview blog posts.